Honey is one of the oldest sweeteners on earth, and has been utilized since ancient times. 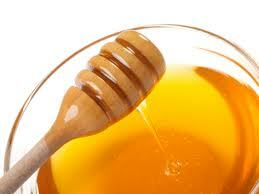 Honey has been deemed as a power food that should be utilized within the products that you consume on a regular basis. Now everything is awesome about Honey except the process in which we collect it. Our little buzzing friends, also known as the bee, consume nectar, in which it is combined with a special enzyme that are in the bees. They then digest it, then regurgitate it and deposit it into the hive walls in which creates the honey. So that’s the process how Honey is made, hopefully that doesn’t gross too many of you out, because the benefits of honey are awesome! Without bees we won’t have honey, so that’s a huge reason we need to save our dwindling bee population. The use of honey has been traced back as far as 800 BC. In early times it was utilized in medicines and foods. It was also used during religious ceremonies to pay tribute to the gods, as well as an embalming tool for those who had died. Honey wasn’t a common everyday item since it was hard to collect back then. Only the wealthy and those of high status were accustomed to using honey. The demand of honey grew more intense until the discovery of refined sugars came about. Throughout the ages, the process of collecting and cultivating honey grew, and the cost lowered immensely until even the common every day person was able to utilize it in some manner. Honey is excellent for helping to control blood sugar levels. Honey works to fuel the glycogen levels within the liver, helping to stabilize overall blood sugar levels. It’s ideal because it contains a 1:1 ration of fructose to glucose, which unlocks the cells in the liver to help the process of converting glucose into glycogen. This is also important since the glycogen supports proper brain function and other important functions in the body. The honey then becomes an important energy source that can help control and even prevent diabetes and cardiovascular diseases. Because of its awesome anti-bacterial, anti-microbial and various immunity benefits, this makes honey a powerhouse fighter against disease and common viruses. The bees actually have an enzyme within them that creates hydrogen peroxide, which can help to eliminate any viruses or diseases. For immunity purposes, it’s wise to take at least 2 table spoons of raw honey once in the morning and once around dinner time. Consuming honey before bed may or may not keep you up; it depends on the person taking it. It also depends on the honey you’re consuming. If the honey is pure and in its raw form, it’s going to be stronger than it would if you got the kind you can by a local grocery store. Ancient athletes utilized honey before partaking in events in order to perform longer and more efficiently. Modern research has shown that athletes who supplement with honey prior to physical activity are more adapt to performing much better than those who don’t. The reason is because it’s a natural energy source and is converted into Glycogen, which is bodies’ energy source. The honey is slowly converted into it, therefore giving the athletes a longer duration of energy and mental focus. For those of you who like to use preworkout supplements before you go into the gym, here is an all-natural alternative. Get some Green tea, preferably the kind in tea bags, not the kind you get a gas station. The potency must be good in order for this to be effective. Then get a half a lemon and squeeze the juice into a cup and mix it with the tea. Now take some raw honey, about a tablespoon and mix it in the tea. Make sure you make enough where you can drink half around 20 minutes before you work out, and sip on the rest while you work out to keep the pump going. Studies have found that those people who supplemented with honey on a regular basis had high protective antioxidant compounds then those who do not. Honey has amazing antioxidant properties that can keep most diseases and viruses at bay. Those who supplemented with honey had a higher level of polyphenolic antioxidants in their blood. 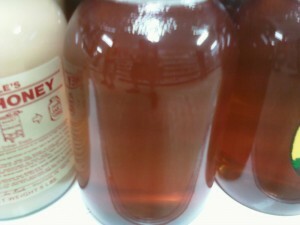 Honey is also excellent for those with Cholesterol problems and diabetes. Those supplementing with honey were found to have lower levels of bad LDL cholesterol, than those who did not supplement with it. The reason being is that raw or natural honey actually can lower blood sugar than refined or natural sugars. It has been said to supplement with it at least 2 times a day, with either a tablespoon each time, or by mixing it with non-caffeinated tea or similar drink. There are multiple ways you can enjoy honey daily without it having to be burden by remembering to take some each day.You can spread some toast in the morning, not only does it tastes great, but it will give you some added energy for the day.If your into yogurt and only have plain yogurt. Take a spoon full of honey and mix it in the yogurt, the honey will give the yogurt some much needed flavor. Need a great snack idea for your kids? Take an apple and cut and peel the slices, then take some honey and spread it on the top and add some cinnamon for some added flavor. Not only does it taste great, but it’s excellent for them. Take some honey and a banana. Cut the banana into pieces and spread the honey on top of the banana pieces. Then take a tooth pick and insert it into the banana pieces. This makes for a great snack or healthy party snack. A way to make a great and healthy sandwich is to take some honey and spread it on the bread. Then take some bananas and peanut butter and spread them on the sandwich. Cut it in halves and serve, kids love this treat! Be sure if you’re adding honey to your tea or coffee, to not use too much. It’s much sweeter than all other refined sugars, so a little bit can go a long way. A GREAT VIDEO I FOUND ON HONEY BENEFITS! CHECK IT OUT!!! Wow!! Amazing benefits of honey. I think for people who tend to overeat or feel discomfort in the stomach after meals, honey can be taken for better digestion. Honey is a simple carbohydrate that one safely take during fasting because it contains easily digested sugars.